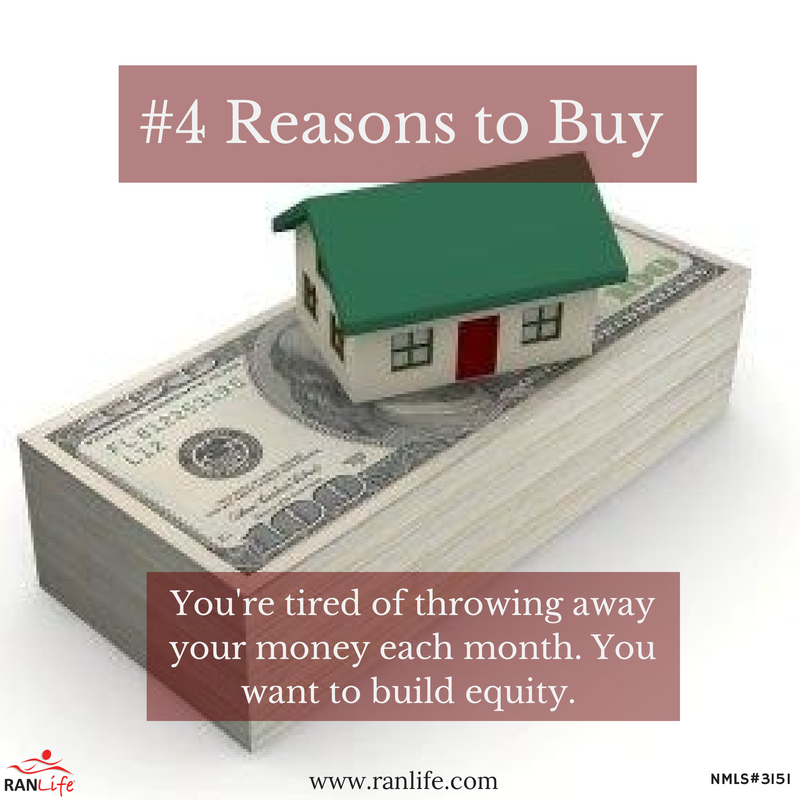 This week marks week #4 of Reasons to Buy and Own your own home. The biggest complaint we hear from renters is, "I'm tired of throwing away my money each month." Owning your own home is exactly the solution. When you buy a home and get a mortgage, each month you are putting money towards an investment of your life and future. A home is special place and an important part of your success and daily mood. Eventually down the road, you'll stop making monthly mortgage (rent) payments and you will own your home outright. And let us tell you, that is by far the best feeling. It's worth it today to start putting money away for your future. Don't make rent payments for the rest of your life. To view the other posts in this series, "26 Reasons to Buy," please click here.